while others see problems and barriers. DeBrunner & Associates is a national health policy consulting and advocacy firm that specializes in government health care reimbursement for programs such as Medicare and Medicaid. Driven by a high degree of resourcefulness and creativity and a rich vein of knowledge built on experience, information, and data, we offer a broad range of consulting services within these areas, including policy development, data analysis and modeling, advocacy, and strategic advice on policy, politics, and how to get the most out of your relationship with government. We are dedicated to producing tangible, quantifiable, value-added results for our clients – positive change that leaves them better off than when they came to us. DeBrunner & Associates offers a broad range of data, information, and knowledge-based health policy, consulting, and advocacy services designed to help health care organizations maximize the financial benefits of their relationship with the federal government and their state governments. 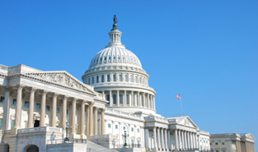 In Washington, D.C., we provide federal government relations planning, support, and issue management assistance; health policy, data analysis, and policy development services; and forceful, effective advocacy. At the federal level, DeBrunner also offers Medicare consulting (including on Medicare DSH and Medicare area wage index matters) and Medicaid DSH consulting assistance; help with pursuing federal funds; and timely information on the latest in the implementation of health care reform and other health care legislation and regulations. DeBrunner also provides Medicaid consulting assistance at the state level, including policy, data analysis, and policy development services; advocacy support; and assistance with addressing state Medicaid issues that must be pursued in Washington as well as in state capitals. 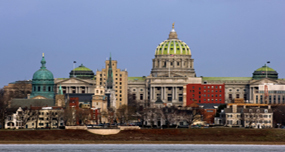 In addition, DeBrunner has a highly focused consulting practice in Pennsylvania that offers Medical Assistance consulting, including on Medicaid DSH, reimbursement, and many other issues; government relations planning, support, and issue management services; health policy, data analysis, and policy development assistance; and advocacy. Finally, as a firm that uses information and data as the heart of much of its consulting and advocacy, DeBrunner offers numerous data services, including market data for hospitals; data mapping; data that enables providers to pursue additional federal resources, such as changes in Medicare area wage index classification, changes in their Medicare provider type, and participation in the section 340B discount drug pricing program; analysis of the financial impact of mergers and acquisitions; and extensive Medicaid data useful for the comparative analysis of hospitals in Pennsylvania. Together, these services, powered by a solid foundation of information, data, and knowledge, help health care organizations retain a strong bottom line so they can go about their most important mission: serving their communities. "The payback on our investment in DeBrunner's services is quantifiable, and has been for more than a decade. I see it in black and white, in the financials of the hospital."